High art and agricultural products are not things which are normally associated with one another but that is the beauty of the Fieldays No. 8 Wire National Art competition. No. 8 wire is not easily malleable, it’s a difficult material to work with and it takes months to create a sculpture, but when an artist can create something faced with such complications, you can be sure it’s something spectacular. No. 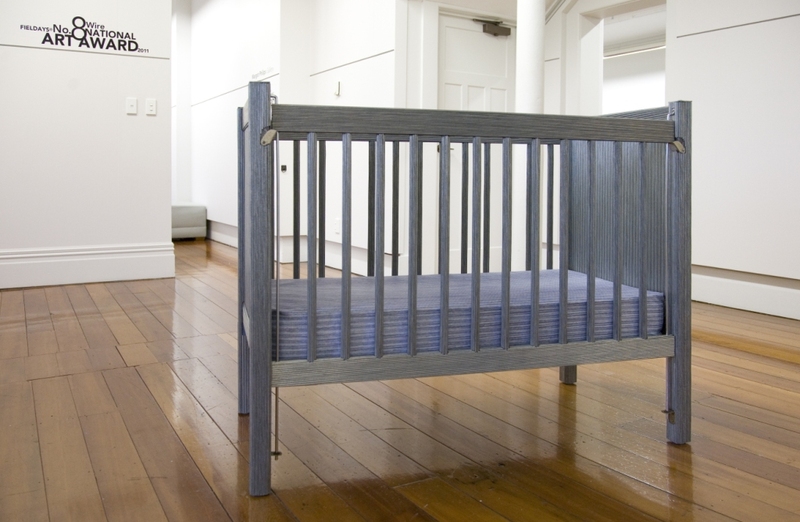 8 Wire National Art Awards takes the humble kiwi invention and asks artists to put an innovative spin on it. Judge Carole Shepherd chose Donna Sarten’s work from amongst 14 other finalists; Shepheard said she found ‘Unsolved’ to be beautiful and mesmerizing. Shepheard commented on the obvious attention to detail that Sarten had given and labour intensity that the piece took in its construction; “It shows a real tenacity, doggedness and commitment to the clear uncompromising concept. This work speaks of justice and conscience as much as it does contemporary art. It also goes beyond speaking of a specific event in New Zealand’s criminal history to the more pressing concern of child abuse and neglect." 41 years ago there was no bigger story in New Zealand than the killing of Jeanette and Harvey Crewe. Killed in their Pukekawa farmhouse and dumped in the Waikato river, the murders cast a shadow over rural life in a country proud of its farming heritage. The Crewe's daughter Rochelle was found crying in her cot 5 days after the couple died. An innocent man was jailed for the crime and then pardoned.